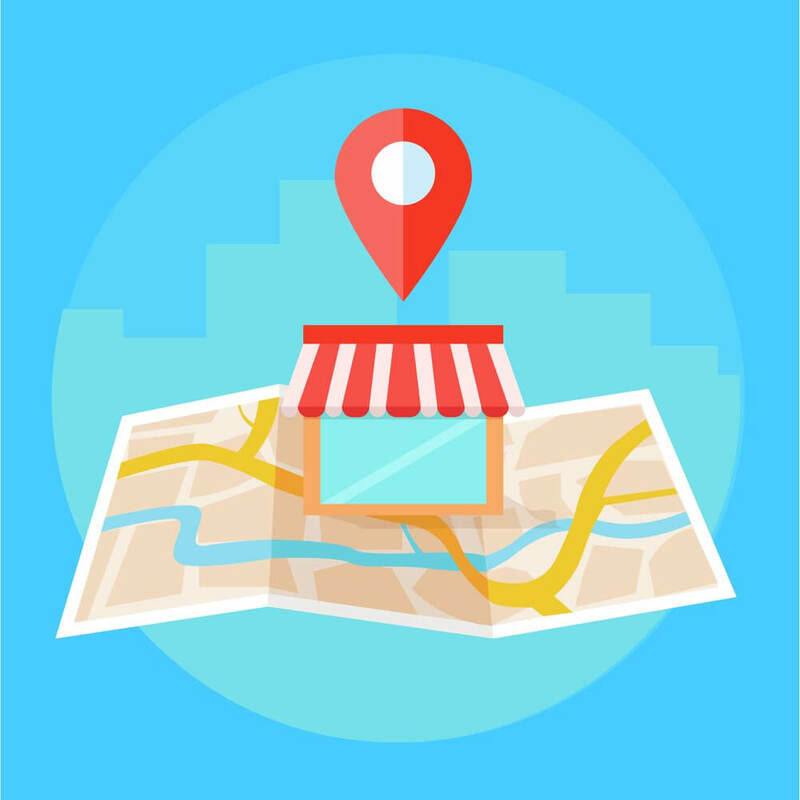 Local SEO consists of optimizing your website to be found in local search results. It helps optimize your website to be found for terms like “Doctors Boston, MA” or “Contractors near me.” Local SEO is very important if you want your website to rank well within your city. If you are trying to improve your local search results, check out this guide to learn more about what Local SEO is and which practices you should follow to increase your website’s visibility. If you conduct a local search, you will notice that Google splits the results into two distinct areas. There are the usual organic search results, but above that, you will find a small search box underneath a map. It will list three businesses that are most related to your search results, with information like their name, address, a link to their website, and their reviews. This is Google’s “Snack Pack.” Local SEO plays a big role in getting your website to rank within this box. According to Google, during local searches, 33% of users click these results, versus 40% using the organic search results, which means it pays to rank well in both. When trying to optimize your site for local results, you will need to focus on collecting high-quality backlinks. Where should you get these backlinks? The best places are local directories, like your cities local Chamber of Commerce. Another thing you will need to have consistent across the web is your companies “NAP” citations, which stands for Name, Address, and Phone Number. Having this information listed consistently and accurately across the web will make it easy for potential clients to find your business, whether it’s on Googles’ organic search, the snack pack, your company’s Google My Business Listing, or even Facebook and other social media sites. Ensure that your companies information is listed correctly and consistently across the web. If you’re trying to track down outdated “NAP” citations, search your business name and your old phone number or address. This should help you find any NAP’s that need to be updated to ensure your business is easily found across the web. Another important part of local SEO is accumulating reviews. While reviews alone won’t make your website rise through the local rankings, an estimated 80-90% of users say that they use online reviews to form opinions about a business before going there. Therefore, you need to ensure that your business has plenty of positive reviews in order to attract potential customers. You need a minimum of 5 Google reviews before they begin displaying, so go get your reviews today to help improve your businesses online rankings! Finally, if your business offers a service, one of the best things you can do to help your local SEO is creating service area pages. Service area pages are pages that center around a specific city or town that your company serves. You can create these for every town that your business services in order to increase your online visibility. It will greatly increase your business’s chances of being found outside of your hometown. Need more help getting your website to rank well within your city? Reach out to our team at Boston Web Marketing today to help you with your businesses Local SEO.